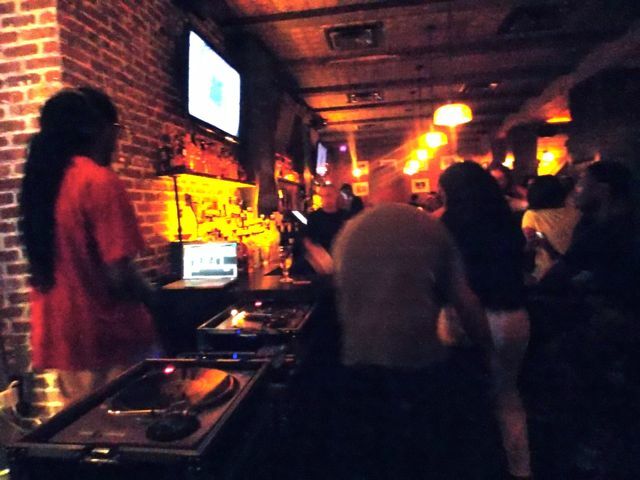 Corner Social quickly became the new “in” spot as the newest addition to Harlem’s Lenox Avenue Restaurant Row, and now the “social-izing” has reached a fever pitch with DJ Alamo spinning on Saturday nights. Located across the avenue from Sylvia’s at the corner of West 126th Street, the vibrant restaurant/lounge opened on March 17, 2012 to protests of possible copyright infringement from the nearby Lenox Lounge. Rather than begin a legal fight, owner Anahi Angelone did not hesitate to change the name, and Corner Social has been constantly packed with a new sidewalk café doubling its capacity. Corner Social is continuing the revitalization of Central Harlem, and along with Marcus Samuelsson’s Red Rooster and Chez Lucienne, it is a new cornerstone of the Neo Harlem Renaissance! This entry was posted in Event, Harlem People, Restaurant and tagged central harlem, Chez Lucienne, Corner Social, DJ Alamo, harlem renaissance, Ken Simmons, Lenox Avenue, Lenox Lounge, Marcus Samuelsson, Neo Harlem Renaissance, Red Rooster, Sylvia's. Bookmark the permalink.